You are here: Home / Blog / Venture Capital / So you’re looking to fund your startup? Congratulations, and realise: you are not alone. The startup scene is still growing across Europe and is a focal point of governments, private companies and the European Union. On the bright side, this means that there is money available from both private and public sources to support innovative startups. On the other hand, there are a LOT of startups competing for that money, so you will have serious competition to get hold of the money you need to grow YOUR company. A lot has been written about the different forms of funding, so I’m not going to go into detail on all of them. 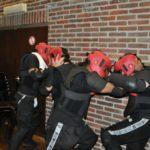 if you want an overview, here is a good start for the US, and here is one for the Belgian market. Below, I’m offering some general thoughts and tips. The type and size of funding you can get access to will typically depend on the size and stage of your company. if you’re just starting out and don’t even have a product or an idea of your customers and revenue plan yet, don’t count on getting in millions of dollars. That typically doesn’t happen. There are always exceptions of course… don’t count on you being one. So for you, this will mean that you will need to work within the smaller budget, find creative ways to spend that budget and work like hell to get access to bigger funding. Very early companies typically have to start with using their founders’ own money, and some funding from the infamous 3F’s: friends, family and fools. The good part of these latter 3 investors is that they typically want to help you, may not be as focused on a return on investment as a VC, and will be more hands-off. You won’t face too many difficult questions from them, and they won’t conduct an in-depth due diligence before handing over the money. Of course, they usually won’t put in big budgets either, so if you can find an angel investor early one, you’ll have a shot at bigger funding, and angels typically also take on a more hands-on role. You can also get bank loans here, or get free office space and mentoring through incubator or accelerator projects. Now… do not get focused only on the money, and don’t underestimate the value of the mentoring – that is, if the incubator you are in has a good mentor network. Why, you ask? A good incubator project and mentor can get you faster access to funding by helping you getting your story right (that’s right, pitch training) and help in validating your product ideas to make sure that your business idea is a viable one that people will pay for. At this stage, you will typically not have revenues yet. But even here, there are some options to get funding and support from other sources. Do your homework: there may be a number of different possibilities depending on your specific sector and country. Did you know for example that if you are a European startup in e-health, you can apply for the EIT Health Launchlab, where you get no money but – if you are selected – you will become part of a 2 month program to test out your idea for a company. KBC StartIT also offers fresh starters in Belgium incubation space and mentorship. There are surely opportunities in your country or sector. Do your homework and find out what is available. In these early stages, you can get both private and public funding. The advantage of getting public funding is that it typically comes without you having to give up any equity in your company. But there is a lot of competition for public funding too. In most countries there are specific government agencies that can provide funding. For example in Belgium, and depending on whether you are in Flanders, Brussels or Wallonia, it will be either VLAIO (Flanders), Innoviris (Brussels) or AEI (Wallonia). There are a lot of options in public funding, ranging from low to high budgets on innovation, research, etc. Every country that takes it startup and innovation support serious will have a program to support their local companies. A good start to look in your own country is the government subsidy sites (just google for these terms). Next to these agencies, there are other option to get public funding, like “open calls”, typically from local organizations or bigger Horizon 2020 projects. One program that is now finished was the FIWARE accelerator program, where 80 Million EURO was invested in startups (up to 150,000€ per startup). There are other H2020 projects that are now providing startups with equity-free funding. A good place to start are places like F6S or FundingBox where you can find access to more public funding and incubation programs. Alternatively you can do a google search on terms like “open calls”. One other form of getting access to further funding or mentoring are the so-called startup competitions. These happen on a local and European level. Sites like Startup Calendar or F6S can give you a good start on finding some competitions that are interesting for you. Typically you’ll need to first apply with your idea online, and the best ones then get selected to pitch and get access to some funding and possible investors. You won’t need to do all of this alone. Without a doubt, once you get some visibility you will get contacted by a plethora of agencies and companies that will offer their services to you in order to help you get access to funding; usually for a fee. So you made it passed the first hurdle, got some funding and are rolling along? Congratulations, but unless you are creating some solid revenues at this stage, you ‘re going to need even more money to keep up. 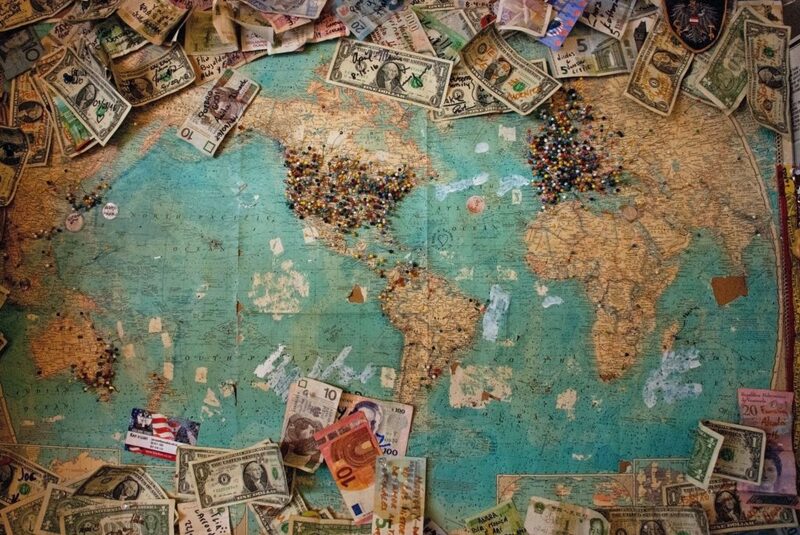 And even if you are creating those revenues now, if you want to grow beyond your borders, you’re going to have to get more money. Welcome to First Round Financing. Here is where you’ll need to get bigger capital for your venture that has successfully passed the initial start-up phase. Hopefully by now, you have your business plan all figured out and a product is under development or even shipping. At this stage, there is one crucial question that you need to ask yourself: do you need the VC money? Are you self-sustainanble already? Can you grow organically? For some this may be a no brainer, but be fully aware that by accepting VC investments in your company, you will give up some ownership and control of your company to someone else. Do you need to grow big and fast and need funding for that? Then it may make perfect sense. But be aware that once you take on the investments, YOU will be held responsible for the fate of the company by your board and investors, and if things go south, it will be your head that will roll. Not being melodramatic, but that’s what boards are for. If you’re ready to go for it, do your homework and learn all you can about the investment process. if you are looking at your first round (typically called the seed round), have a look at the advice of Y Combinator. Next to a mentor that has gone through the process before, there are some good books that can help you with the ins and outs of the investment process. “Venture Deals” is one I recommend you read. 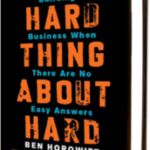 One other book that deals with various aspects of running a startup is “the hard thing about hard things” by Ben Horowits. There are some alternatives to early stage VC funding. The best known of these in Europe is the public funding for small and medium sized companies by the European Commission (EC), commonly known as the SME instrument. The SME instrument is part of the EC’s Horizon 2020 instrument, and can land you funding of up to 2,5M€ – equity free, meaning you will not need to give up part of your company. There is always a catch though: as the SME instrument becomes more well known and is open to companies from the whole EU, there is some fierce competition going on. Because, who wouldn’t want this kind of funding? As you would have guessed, a lot of companies apply for this funding, and the success rate is rather low. According to the 2017 report of the EC, out of the 31,000 applications, 2457 companies got actual funding. The figures don’t lie: 8.4% of Phase 1 applications were selected for funding, and only 5.5% of Phase 2 applications were selected for funding. These programs also work with cut-off dates throughout the year. If you miss submitting by the due date, there is no option but to wait until the next date. Phase 1 is typical for concept and feasibility studies, has a fixed funding of 50,000€, and lasts for about 6 months. it’s got the easiest application process (only 10 pages). Phase 2 is more for companies that are ready to scale up demonstration, market replication, r&d and product development. Here the EU may contribute 70% of your total project cost, between €0.5 and €2.5 million, with project lasting about 12 months. it’s also a harder application process (30 pages) and typically follows after a company has passed Phase 1. Then there is a 3rd phase 3 for business acceleration and support services to get ready for market launch. However, there is no funding here, but business acceleration support, including training, coaching and facilitating access to risk finance. There is a yearly overall budget for the SME instrument, which is spent as follows: up to 10 % of this is used to support companies in phase 1; at least 87% goes to phase 2; at least 1% of the annual budget will be used for phase 3 related actions, and 1% will be used to support coaching and mentoring activities supporting phase 1 and phase 2 and up to 1% will be used for evaluation. What all this means for you, is that this is a yearly budget, so if it’s spent on the top applications, and the budget has run out for that year, there is no more budget for you, even if you had a great score. You will however get a seal of excellence. Even if you didn’t get funding from the first go, don’t despair, because you can adapt your proposal and apply for the next deadline. No more pre-defined topics: the 13 pre-defined topics from the past are no more, so entrepreneurs from all sectors can now apply – we will have to see how this pans out, as it will likely result in even more applications, but there will not be oversubscribed categories anymore. Bigger budgets: more money will be made available per year to support even more startups. New submission forms: these should simplify the submission process and adopt a more business-oriented language. expert-evaluators – the number of expert-evaluators in the pool with an investor profile has been significantly increased in order to better consider market and investment related elements in the evaluation. Adding face-to-face interviews with selected Phase 2 applicants: in the past there were only remote evaluations; now there is an additional step with face-to-face interviews with a panel of expert evaluators in Brussels. Focus on the impact: in the past there was equal weighing for excellence, impact, implementation – as of 2018 the “impact” part will become more important than the other factors. OK, this last one isn’t really a way to get more money to grow your company, but it can definitely solve your money problems, and if you have what a corporate acquirer is looking for it can go really fast. Look at Indian company Halli Labs which was acquired by Google. The company was less than a year old when they got scooped up. So, one of the items in your pitch deck can be your “exit strategy”, where you can list who you think can acquire your business in some year’s time. Techrepublic has a good guide to get your started on the M&A approach of some tech giants. Big corporates realise that they are in dire need of innovation and what better way to “insource” that innovation than to integrate a promising young startup into their ranks? “Innovation through acquisition” as they call it. Of course, that doesn’t always work and acquisitions are no guarantee to succes for either side, but that is for another post. Interesting in talking more about your options?